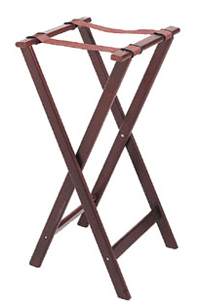 Wooden folding tray stand from Update International. Cherry wood finish. 32 inches high.